Proper Puppy Development Program--is ideal for those who lack the knowledge, time, or real-estate to properly start a puppy under 6 months of age (generally). We spend four weeks PROPERLY exposing the pup to most things he will encounter on a hunt, i.e. birds, gunfire, water, various types of terrain and cover. Pup will have ample opportunity to point game, enhance his prey drive by chasing birds, and be introduced to tracking wounded running birds and/or blood trailing. He will be encouraged to hunt/handle for the gun because he will only find birds in front of gunner. This portion of the training is entirely positive. Started Gun Dog Training-includes further exposure to birds, water, gunfire, and tracking, coming when called, and handling by turning on command, electronic collar conditioning, heeling on lead and learning to stand birds. Retrieving is encouraged, but not demanded. This portion does not include Force Fetch. 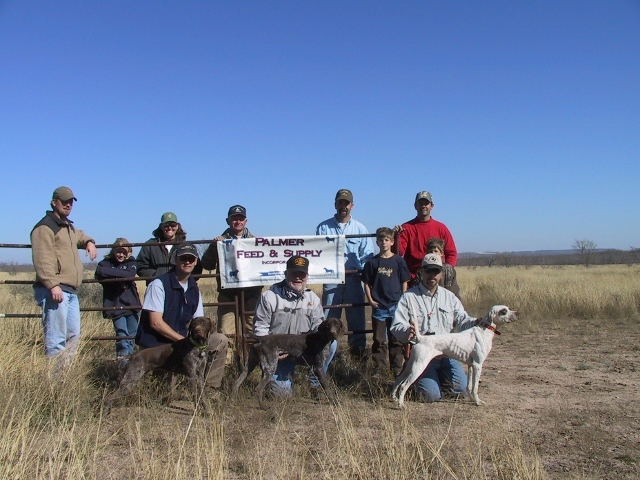 Intermediate through Advanced Gun Dog Training-includes steadiness, honoring, precision handling in the field, delivering shot birds to hand,searching for ducks in water, taking a line, etc. Obedience-basic through advanced heeling, sit, down, extended down stays, etc. Retrieving-basic force fetch from table to ground through advanced retrieving of taking a line to a blind retrieve, whistle sits, hand signals. 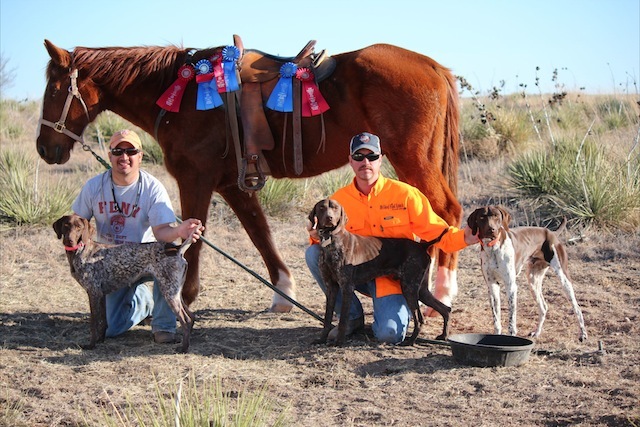 Whether you prefer a well performing weekend quail, pheasant, or duck dog, or a completely finished and truly exceptional versatile hunting companion, I will dedicate the time and effort required to maximize your dog's genetic abilites. Training a very limited number of dogs at any given time allows me to get to know your dog and tailor a program to best suit his needs and yours.